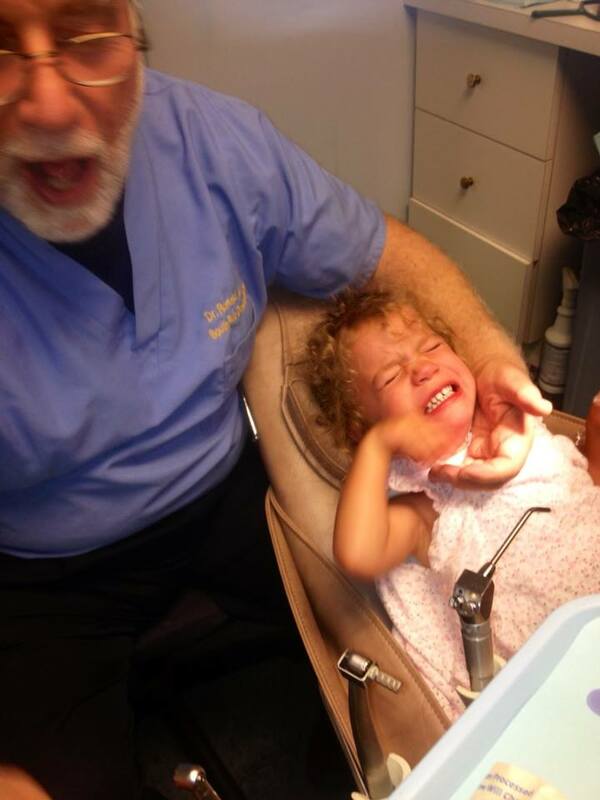 Sedation: Sometimes Mothering and Dental exams have the same Solution. Linking up with Honest Mom! As we traveled across the bridge cries and tired eyes ineffectively distracted me from my armpits made sweaty and my cuticles made bloody from nervously picking and pealing at the thought of the mouth doctor formally known as my father. Jim looked at me shaking his smarter brain and said, “you realize this is the worst idea you’ve ever had?” as thoughts of flying dental tools and spraying water and maybe even blood flooded his imagination as a likely probability given the three individuals screaming in the backseat wishing they were in their beds for their naps rather than being used as a way to comfort their mother’s fear of their grandfather’s profession and all of its tools. I find the dental chair about as inviting as the stirrups at the lady doctor or the ring of fire at centimeter 10. As I thought of a response to calm my husband, thoughts of their Pappy teaching each of them to throw food and spit water at me coupled with memories of innapropriate jokes and embarrassing remarks during teenage years, I was provided with enough visual and memory data to utter, “he deserves it” with confidence. Middle child sensed correctly and stood in the corner with fear until she found something to squirt and something else to break. Baby girl played with a toothbrush in her car seat, unknowing of the gifts of only having 4 teeth. I only hit the doctor 5 times and batted his hand away another 9-57 times. No cavities, 3 pounds of sweat lost, 4,876 toys handed out by dental assistants to occupy my children and possibly my husband during my extended dental exam due to poor patient behavior and attitude, Josie’s inheritance of my fear depicted. I would take full responsibility if I didn’t view it as completely rational.